MainJudaismWhy is everyone talking about Shtisel? Why is everyone talking about Shtisel? In Israel, everyone was talking about it several years ago, but now it has hit the US scene - with the same result. The writer is editor in chief of the 5 Towns Jewish Times. Is Shtisel the latest craze or talk of the town? Well, yes and no. “Shtisel” is the last name of a fictional haredi Jerusalem family in Jerusalem's haredi Geula neighborhood that is the focus of a television drama available on Netflix. The program premiered in June 2013 on the Israeli satellite channel yes and was picked up by Netflix for broader release in 2016. With the expansion of cable channels over the last decade or so, some of the newly developed programs have focused specifically on Orthodox and even hassidic Jewish life and lifestyles. Shtisel has two seasons with 12 shows in each season. You can watch it slowly or you can “binge watch.” Set yourself up in front of your TV or computer screen and get through the whole story over just a few-day period, as unbelievable as that may sound. This essay is not about whether or not you devote time to these types of things, whether or not it is a poor use of valuable time, and so on. You will have to decide those important matters on your own. This is about one thing, and that is Shtisel and what the creators of this program are trying to teach us — if anything at all. It’s only my pedestrian opinion, but Shtisel is important and incisive on numerous levels. I suppose that for general audiences and viewers who are disconnected from this type of lifestyle, a program like this provides a peek into a strange, unfamiliar, and distant lifestyle that is somewhere between difficult and impossible to grasp. For those of us, however, who are well-acquainted with this aspect of frum life, it supplies us with a deep and emotional introspection of a way of life. Over time, it even makes the viewer feel as if he is living with them and experiencing their experiences. That is how well this production has been presented. By far, the performances by Dov Glickman and Michael Aloni are award-winning. Glickman plays the family patriarch, Shulem Shtisel, and Aloni is his son, Akiva. Watching Shtisel, one cannot resist conjuring up the real-life images of the men, women, and children we see on the streets of Geula and Meah Shearim. In an absolutely perfect fashion, the cast members of Shtisel play the parts of those men and women to whom we barely pay even a moment’s attention. 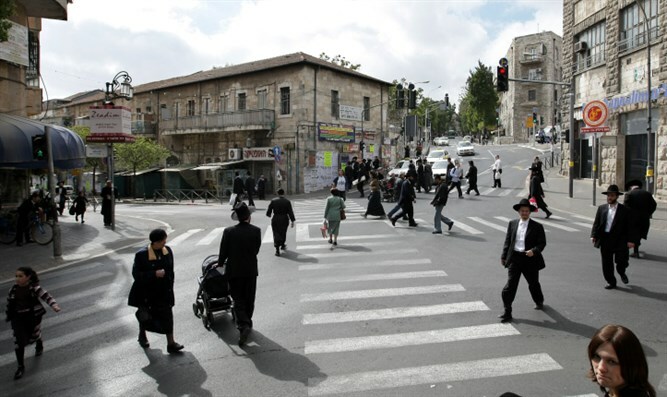 It takes some focus and concentration to absorb the fact that the people in Shtisel are actors, while the people walking, shopping, and playing in these little crowded enclaves of Israel’s capital are very real. There is still a great deal that I do not know about Shtisel, things I’d like to know and hope to find out — like the motivation behind the idea to create such an extensive and riveting drama that takes place in a haredi neighborhood in a little corner of Jerusalem that you might think almost no one is really interested in. But that is obviously a wrong calculation. The characters on Shtisel are now the darlings of the frum community that keeps tabs on and monitors these types of things. 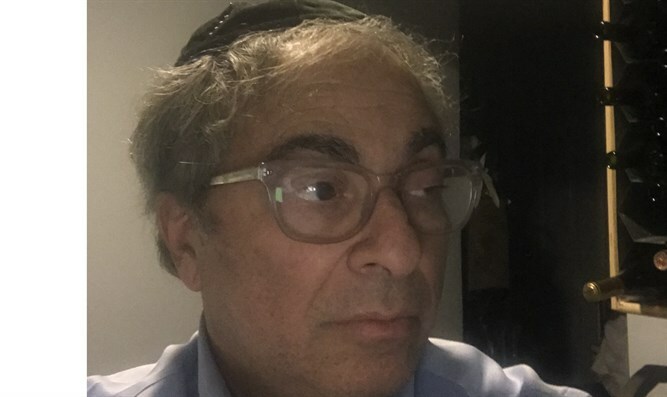 In brief — or, as they would say on the show, b’kitzur ha’ma’aseh — Rabbi Shulem Shtisel is a cheder principal and a widower with many grandchildren. His kids are married and out of the house except for his son Akiva, who is in his mid-20s and in search of a shidduch. Over the two seasons of Shtisel Akiva gets engaged three times. Two are broken off for a combination of reasons that will not be unfamiliar, and the last engagement, his third, is to his first cousin who lives in Belgium but visits Israel frequently with her father, Shulem’s brother Nuchem, who seems to have some tough times in business as well as with his brother and extended family. One thing that you will certainly take note of, or already have if you’ve seen Shtisel, is that whenever we cut from scene to scene or from situation to situation, the characters are either just beginning or are in the midst of a meal. If there is one word that can sum up the essence of Shtisel, I’d say that it is conflict. And not an unnecessarily unusual or unique to haredim shown in the program type of conflict, but internal family clashes that are common in most families. For example, there is Shulem Shtisel’s daughter — one of two — Giti Weiss, married to Lipa and living in a small Geula apartment with four young children. Early on in the drama, Lipa goes to Argentina to work as a shochet for a six-month stint that creates a very difficult and intense burden for the young family. To add more complications to the situation, Lipa decides to shave off his beard and peyos and also reduces the level of his religious observance. At the end, he regrets his actions and returns. I don’t want to give too much of the story away, but during this time, their 16-year-old daughter, Ruchami, has an impromptu marriage to Chanina, also a teenager who, after their marriage, says he has to separate from her because she is distracting him from his learning. Giti and Lipa are against the marriage and want Chanina to Ruchami a divorce. I do not want to give away too much of the story, but it is important to point out that one of the reasons that Akiva is still single is because he is an evolving artist with remarkable talent that seems to be attracting international attention in the art world. An underlying theme to the story is his personal struggle and conflict with the cloistered lifestyle in his corner of Jerusalem and the demands on his time as an artist.